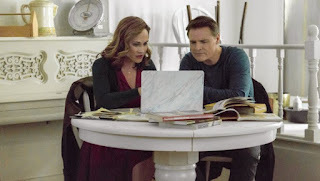 Dylan Neal and Nikki DeLoach star in TRULY, MADLY, SWEETLY (2018), a very enjoyable film from the Hallmark Channel. 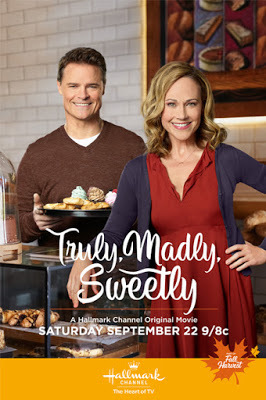 TRULY, MADLY, SWEETLY recently aired as part of the network's annual "Fall Harvest" lineup. 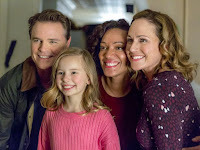 As with the Gourmet Detective films he starred in for the Hallmark Movies & Mysteries Channel, leading man Neal cowrote the movie with his wife, Becky Southwell; director Ron Oliver joined Neal and Southwell authoring the script. Neal was also executive producer. The simple yet appealing story finds a pair of strangers, Natalie (DeLoach) and Eric (Neal), meeting when Eric's aunt leaves them property in San Francisco. Although they initially plan to sell it and split the proceeds, issues arise which make a quick sale difficult. Natalie, who sells cupcakes out of an old food truck, becomes interested in restoring the building to its past glory as a bakery, and when Eric is laid off from his job in finance he agrees to partner with her on the project. Natalie and Eric tentatively draw closer, but they're each wary of finding love again; Natalie is still nursing wounds after being dumped by her boyfriend, and Eric is divorced with a young daughter (Bailey Skodje). Meanwhile Natalie's best friend Sam (Karen Holness) and Eric's colleague Nick (Dallas Blake), who was also laid off, help get the bakery off the ground and strike up a relationship themselves. This is a quiet, enjoyable film of two nice people finding each other and their calling, starting a business together. 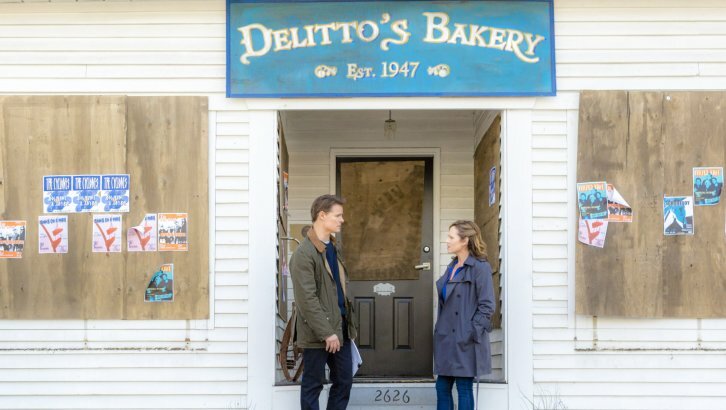 There are bumps along the way, including the interference of an aggressive real estate agent (Alison Wandzura), but Eric, Natalie, and the bakery keep moving forward towards the inevitable happy ending. I particularly like Neal, finding him both intelligent and attractive; as much as I enjoyed this, I really wish he and Brooke Burns would make another Gourmet Detective movie! The script was inspired by a novel by Kira Archer. The movie was filmed by Adam Sliwinski. Though there are establishing shots of the film's San Francisco setting, the movie was made in British Columbia. TRULY, MADLY, SWEETLY is "feel good" viewing which I enjoyed. 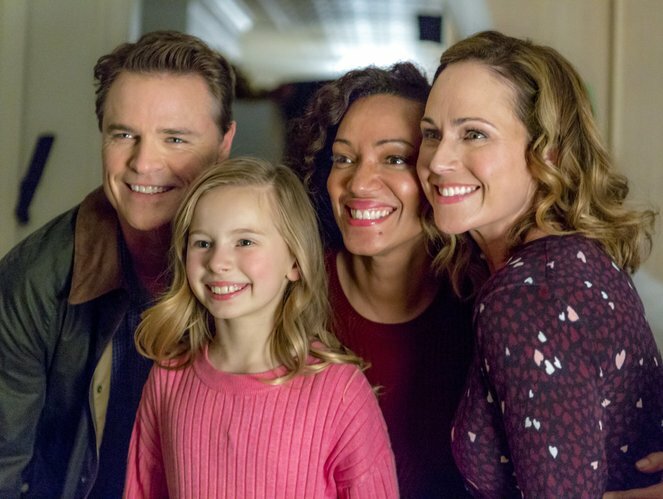 Up to this point I think I've enjoyed every Hallmark film I've tried! Hi Jane! I'm so glad to hear your mother is doing well. That's wonderful news! And how lovely you could share some good Hallmark movies together. I love that she introduced you to them! For those who may be interested, Hallmark just released an app for tracking watching their new slate of Christmas movies! It will send reminders, etc.